Here at Digital Fabrics over the past few months, we have been testing the education waters by offering some workshops aimed at engaging our customers in the digital printing process, handing over some required designing skills and getting excited about the results from our students. We were so excited that we’ve decided to continue with our DF School offerings and are looking forward to seeing the creations that come out of it! First class off and running starts this week Thursday, there’s no time to think just do it! Idea to Reality is a four week evening class designed to take you through the fundamentals of what digital printing is and how to develop your artwork into a seamless repeat, ready to be printed for meters and meters. Have you got a design idea burning a hole in your sketchbook? Do you want your very own custom designed and printed fabric for that one of a kind dress? Head on over to our website now to book your spot in our Idea to Reality class! Next in line there is a one day workshop perfect for Photoshop newbies. Textile Design for Photoshop Beginners will walk you through the basic applications in the Adobe Photoshop program, like where the move tool is and what the magic wand tool can do, before going through some simple repeat set ups that will have you designing your own fabric prints in no time. Ideal for those with little to no experience in Adobe Photoshop, Textile Design for Photoshop Beginners on November 5 is now open for bookings! If you’ve had a bit of experience working in Photoshop and have been dreaming of your own cushion prints or yoga leggings or even a statement scarf, Design Your Own Product is the workshop for you! Immerse yourself in this one day class focusing on the manipulation options in Photoshop and using these to develop a placement print. With the added option of having your product printed, how can you go past the Design Your Own Product workshop on December 3. Whichever class you choose, we can’t wait to see you there, share our digital printing insight and be amazed at your creations. Garment making and production can be daunting and a complicated process especially placement or engineered printing. A lot of time and effort goes into research and understanding where to start. We have put together tutorials on how to design, work with and prepare legging pattern for digital placement fabric printing. For this tutorial you need to be proficient in Illustrator or at least have basic knowlage. Our tutorial is based on industry standards. This technic can be applied to printing other products such as bikinis, t-shirts, singlets , dresses etc. Once you’ve completed the steps in the tutorial ‘How to use legging pattern in Photoshop’ You may want to print more than 1 design or more than 1 size, the most economic way to do this is to create a mark up/placement layout to have printed. The following are instructions on how to set up in Photoshop, but could easily be done in Illustrator. Start off by renaming the pattern layers to insure that you always have a pair of leggings. In this tutorial we will be using the same size 10 but printing in new designs. On the same artboard move files to the left hand side. you will notice that you can only comfortable fit 1 pair within the 147cm width with the current orientation; however there is a lot of wastage as illustrator below. You can now start bringing in the other size 10 designs and play around with the layout. It’s best that you make the art board slightly longer than needed and once you’ve set up all the designs crop the excess. Make sure you zoom in and double check that you haven’t overlapped any areas, when you are happy with the layout save as a JPG, TIFF or PDF. You’re now on your way to have custom printed fabric which you will be able to make into comfy leggings. 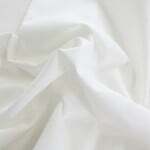 Garment making and production can be daunting and a complicated process especially placement or engineered printing. A lot of time and effort goes into research and understanding where to start. We have put together tutorials on how to design, work with and prepare legging pattern for digital placement fabric printing. For this tutorial you need to be proficient in Photoshop and Illustrator or at least have basic knowlage. Our tutorial is based on industry standards. This technic can be applied to printing other products such as bikinis, t-shirts, singlets , dresses etc. Open the PDF file in Illustrator. You can purchase our digital leggings pattern on our website or use your own. Copy and paste the size you would like to use within the same file, we have selected size 10. Delete all details and notches within the pattern piece and select the pattern shape and fill in black. while legging is selected copy and take note on the sizing. Open Photoshop and select a new artboard, keep the pixels and resolution the same, just make sure you’ve selected RGB color mode. Click OK and Paste pattern piece as a smart object, click enter to place. Double check that the sizing is correct by selecting Image>image size, in this case it is only a few points off which will be fine. Next you’ll need to increase your artboard size to fit the other leg, change the width of your artboard to the width of the fabric you’d like to use and select the anchor points to extend from corner. Copy Layer and while selected transform (Ctrl+t), while still selected right click on top of the layer and select Flip Horizontally, you know have a pair. With both layers selected you will need to select transform again (ctrl+t) and while select cover over to rotate, when rotating make sure you hold down shift to make sure it rotates correctly. Copy and paste the design you would like on your leggings and place layer on top of the one of the pattern legs. Right click on the design layer and in the drop down menu select create clipping mask. Group all layers and centre. Your file is now ready to print! Whether it’s Summer or Winter, a scarf is a timeless wardrobe essential that can come in handy anytime. Whether you want to bundle up during Winter time, tie it as a beach cover up or create a fancy hair up do, there is no limit to the many ways you can wear and style a scarf. So why not customize your own scarf and create a beautiful and unique design for it? Our mission at Digital Fabrics is to help you to bring your creativity and your amazing ideas to life! September 15 Digital Fabrics will teach you how to design your own scarf. During this full day design your own scarf workshop we will provide you with knowledge of digital textile design for placement printing. 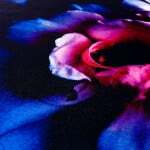 You will be photographing floral inspired collage/layout and transferring your photography to a scarf! After the workshop you will receive printed large chiffon scarf with your own design! Click here to participate in this creative scarf workshop. Here are 8 fun, colorful scarves as inspiration to get you started! Imagine designing your own leggings, learning the process and receiving your custom made leggings with your own design? Make this fashion dream come true & click HERE to participate in the Digital Fabrics Design Your Leggings workshop August 20th! In this Design Your Own Leggings workshop you will transform into a fashion print designer where you will start from the beginning and develop your own leggings design with photographic print. You will be photographing floral inspired collage/layout and transferring your photography to a pair of leggings!After the workshop you will receive printed and made pair of leggings in your size with your own design! Click here to participate and learn what we will teach you at the Digital Fabrics Design Your Own Leggings workshop. Did you know you can create your own pillows on Digital Fabrics? Pillows are great home decoration accessories if you like spending some quality time on your couch and need more comfort. Add a fruity, Summer print to your home with these colorful pineapples pillows. Whether you like them small and plenty or one big pineapple in the middle, these custom made pillows will bright up your home for sure and make it extra cozy. Our first workshop happened a few weekends ago at the Digital Fabrics School and it was a great day! There were 4 students ranging in experience and knowledge and it was a fun day learning, sharing and exploring the digital process of designing a scarf from creating a collage to the digital process. An early start on a winter’s day meant plenty of snacks and cups of tea for fuel while learning about Textile design from our expert teacher Liz Godkin. Liz has extensive industry experience including working at a fashion house in New York and freelance design across Australia and she shared tricks of the trade and useful tips for designing textile products for both personal and commercial projects. Students were getting back to basics and making flat lays which were to be the base of the scarf designs with flowers, leaves, lace, poms poms and even their own artwork. One student loved using her professional photography skills to capture the design! It’s great to work with your hands before turning it digital as it gives you a wider understanding of the process and how designs can come from anywhere. After a much needed break for some delicious sushi, more tea and it was time to take the collage into Photoshop. Few hours were spent learning how to use the manipulation tools, layers, filters and blending tools amongst many other aspects in PS. Liz was constantly offering information , shortcuts and in depth knowledge. As it was a very small class, she always had time to help students one on one which is great and definitely makes a difference. The feedback that we received is great and are excited about the upcoming workshops and the future of the Digital Fabrics School. If you have been thinking about attending one, DO IT! You will learn some great new skills and make new friends along the way. What’s better than that? We have lots of ideas and are thinking about lots of potential fun things to learn and make together! Digital Fabrics School is kicking off with DESIGN YOUR OWN SCARF WORKSHOP on July the 16th. Come and join us for fun creative day. 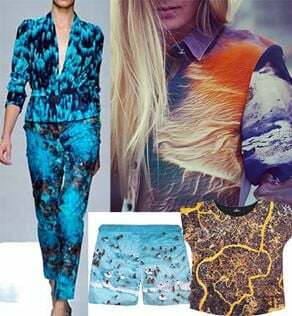 Full day workshop style class will provide you with knowledge of digital textile design for placement printing. You will be photographing floral inspired collage/layout and transferring your photography to a scarf! 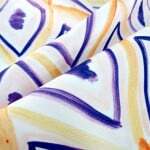 After the workshop you will receive finished large chiffon scarf printed with your created design! On the day you will be creating and photographing collages to further manipulate them in Photoshop. This procces is fun creative and there is no wrong or write! This woark shop alose will give you the knowlage to come up with your own designs later and set them up for printing as required by fabric printing industrie. You will learn to understand scale, image size and the template, how print design can be developed, manipulate photographic digital images in different ways, design your own placement prints and change colours! Interested? Book Design Your Own Scarf workshop now and get your early bird 10% discount. Hurry, spaces in our workshops are limited. Use EARLYBIRD promo code on checkout. Don’t wait too long this offer is limited!